Apparently those two know each other. And Patchverk knows exactly when to close Bramble mouth. 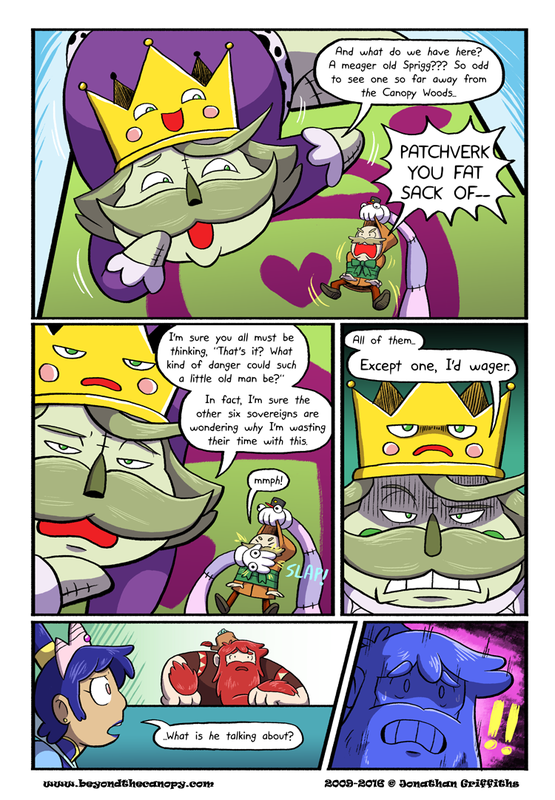 Sovereign Patchverk is a much bigger joker than previously expected. The humor is through the roof, and this is a 15-story building. Okay but the real question here is: Does Patchverk even have legs or is he just like a half-snake half-puppet thing? henanigans Patchverk. Yes. Shenanigans. That’s definitely the word we’re going for here. Don’t you mean shitake mushrooms?